What is your pricing and what does it include? Our wedding packages start at 4,950, include at least 10 hours of coverage and drone footage, and are now shot in 4K on the RED Scarlet-W. Connect with us to get a full list of our packages and pricing. We are located i Seattle and are willing to travel as far as you would like! In general, up to 50 miles from Seattle is included in your package. If travel time is further than 2 hours from Seattle, overnight accommodations are needed. Planning a destination wedding? Connect with us today for a custom quote. How do you deliver our video/videos? Depending on your package, your videos are delivered via online download or USB. How long does it take for me to get my video/videos? You can expect to receive your final videos 6-8 weeks from your wedding date. What music do you use for your videos? Can we pick our songs? By law, music for your videos must be licensed due to copyrights. We typically select music from musicbed.com and most couples prefer to have us choose the specific songs. We are also more than happy to have you browse musicbed.com and select some song options that you like! Can we add the RAW video files to our package? RAW files are not available at this point in time. Most people do not have the software to open the RAW files and with 4K video, file management would be very difficult. Additionally, viewing our RAW video files is much different than photos. For example, your video is comprised of hundreds of small clips which are then edited together and can’t be watched as a 24 hour video of your day. If there are any editing changes you would like, please let us know. How would you describe your style of videography? We are natural light, cinematic videographers, who focus on capturing authentic moments and connections. We take more of a behind-the-scenes approach to filming your day in tangent with your photographers. 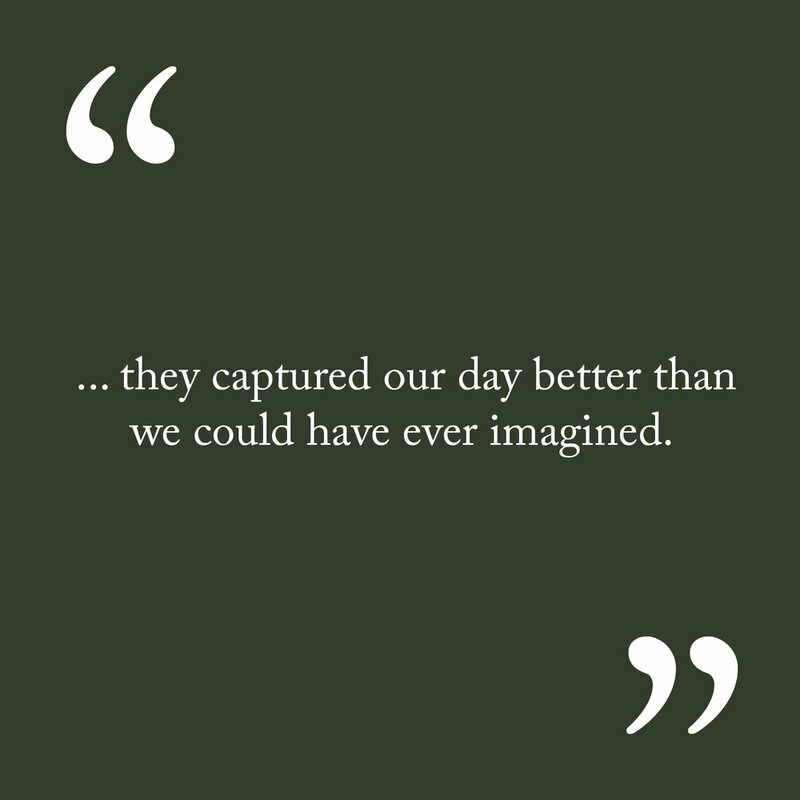 We will never have you reenact a first look, first dance, or first kiss-- we believe the most authentic moments come from treating your wedding day as documentary rather than a production set. Do you capture the audio from our day? And how? Yes, definitely! We typically place a lav mic on the groom or officiant which provides clear audio of everything that is said. In addition to this, we also try to tap into a sound board as a back-up recording. We use a similar recording process for the toasts as well. Can you hold my wedding date? / What is required to book you for my wedding? Your wedding date can be held / reserved with a signed contract and 50% retainer of your package price. Unfortunately, a date cannot be held without those two things. Check, debit or credit card are all acceptable forms of payment. Half of your package price is due upon signing of the contract to reserve your date and the other half is due on or before your wedding day. Typically our couples like paying their final payment before their wedding day as it’s one less thing to think about during your busy day. Contact us for a custom payment schedule if needed. Your 50% retainer is non-refundable, but it is transferable to a new date up through the following calendar year, based on availability. We work with you in selecting a package that best fits your day. Typically, we have not run into any issues, even with weddings running behind schedule. But if something happens and you need us to stay, additional coverage can be added on by the half hour at the same rate as when you booked. Yes please! As weddings are very long days, we do required a meal break. We are fine with vendor meals or whatever you are serving your guests. I recommend that we be served at the same time as the bride and groom so that when they are done eating, we are done as well and can start photographing the next event. If a meal is not provided for us then we require an hour to leave the venue to go get food. Reach out, we'd be more than happy to answer any other questions you might have!